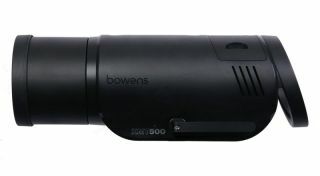 Historic photographic equipment brand Bowens, which ceased operations in 2017 after 94 years, has been resurrected by Wex Photo Video, which announced the venerable Bowens XMT500 as the first relaunched product. "We are pleased to announce the Wex Photo Video exclusive relaunch of Bowens, beginning with the XMT500 Flash Head and Twin Head Kit," the company stated. "This is complemented by a wide range of light shaping tools, a two-year warranty and special limited-period launch offers." The flash supports manual and TTL shooting, high speed sync up to 1/8000 sec, and features both sync delay (from 0.01 to 30 seconds) and strobe mode to deliver up to 100 flashes per burst. The XMT500's recycling time is down to 0.01 sec, and can produce up to 500 full-power flashes from a battery that fully recharges in four hours. Founded in 1923, Bowens was shuttered in July 2017 by parent company Aurelius, which acquired it and Calumet the previous year. The closure was due to a number of market factors including, as the company told Petapixel, “considerably less expensive products by Chinese manufacturers”. Aurelius then merged Calumet with Wex Photographic (which it acquired from Barclays earlier the same year) in September 2017 as Wex Photo Video.